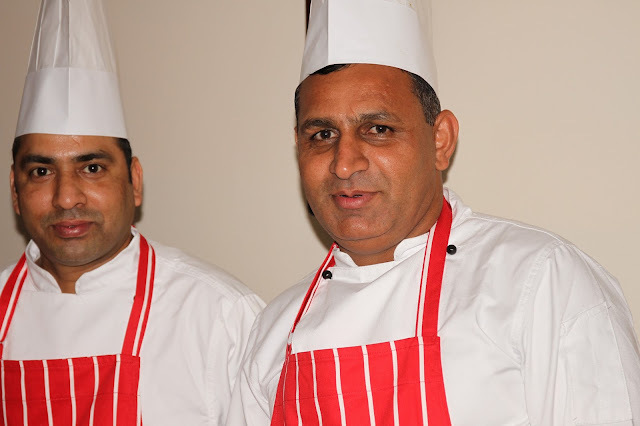 I recently had a chance to visit Memsaab, Arguably Nottingham’s best Indian restaurant. Situated on Maid Marian way the exterior of the building is clean well maintained but not extraordinary in any way. Having never visited before, I was not sure what to expect. The interior of the place is very well done even down to the live traditional music being very well played. The decor pays homage to some traditional Indian influences and it all looks very rich and sumptuous. I am greeted by a very pleasant and friendly member of staff who directed me to the reception to which I have been invited. Drinks and Canapés and a chance to have a taste of a Michelin 2 rosette restaurant! 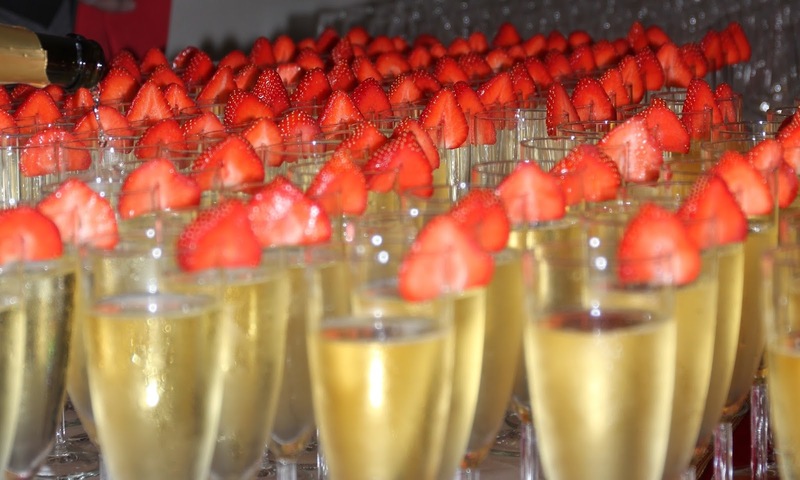 I am greeted by staff holding trays of very tasty looking canapés and rows of glasses of champagne and strawberries. A very smart and professional looking waiter behind the table greeting customers and pouring drinks, everything looked on point well organised and gave the impression I was more important than I actually am. On to the food, we were served lots of tastes of the cuisine available all looking amazing in how they were presented, fresh tasty and very appealing. So on to a selection of the different dishes we were treated to on the night. We start with the Dahi Batata Puri - this was unlike like anything I have tried before and am still not sure what was in it! 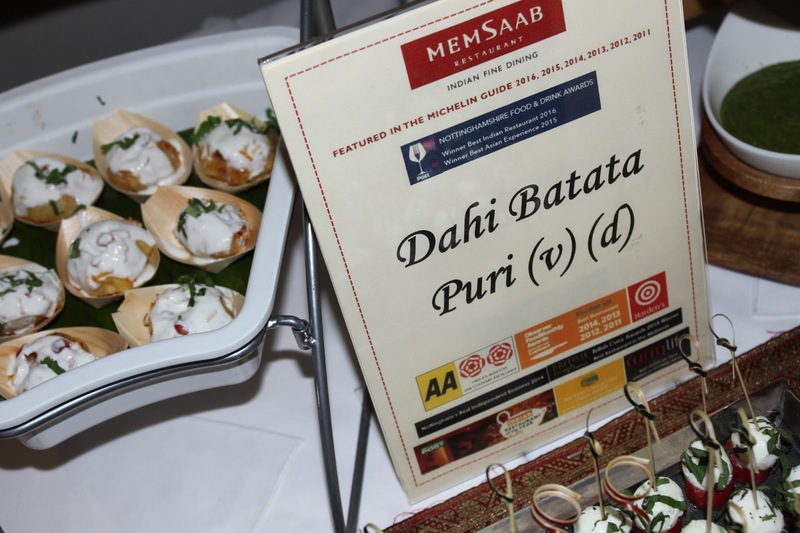 The dish was not a spicy one as your would suspect but a crispy samosa style topped with a yogurt. 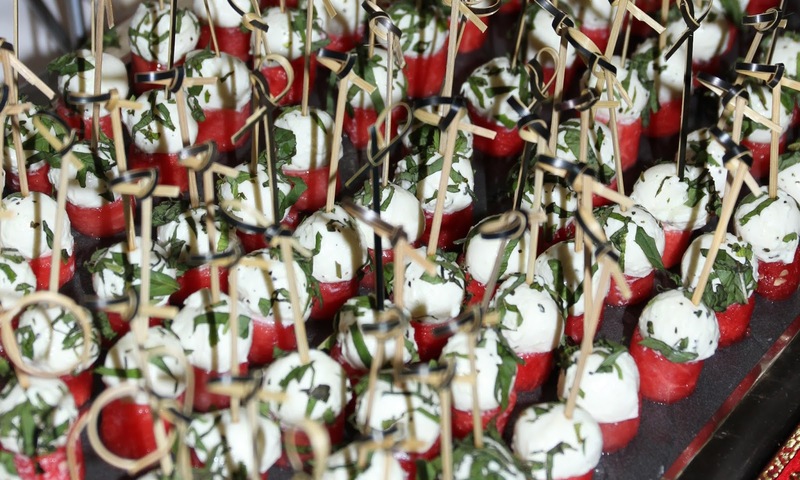 The next dish was the Mozzarella and watermelon with mint. 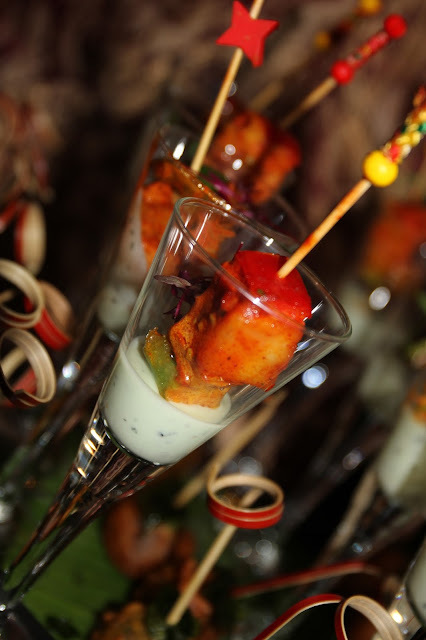 This was a cool and refreshing dish perfect for cleansing your palate after several of the more spicy dishes on offer. This was a great dish that I returned to time and again in between other tastes as is did leave your palate feeling like it had been cleansed and thus allows you to experience the different tastes without them being overly contaminated by the previous dishes sampled. Lamb Kathi - this was served as a wrap of sorts filled with sweet tender chicken or lamb. These were good dishes perhaps to big to be considered a Canapé in the traditional sense, but nonetheless they were very tasty with a great delicate blend of spices and the veg/salad in the wrap it gave a different texture with the tenderness of the meat and crispness of the veg. Next we have the Aloo Broccoli Bonda - This is much like a Bharji in appearance, small and golden in colour but the taste was one of real spice - probably the spiciest dish of the evening but still not a rocket fuel temperature so I imagine that no one struggled with the spicy nature. This was a good taste and a delicate balance between the broccoli and the potato these were then batter fried giving a nice light but crisp exterior. These were great bite size potions and easily consumed in one bite. Over the years I have grown to love prawns and especially King Prawns! The ones served this night were cooked in coriander, mint these were very juicy and tasty like a king prawn should be. The balance of the flavours nicely held so the delicate prawn flavour was not overwhelmed. lastly, well the last dish I tried was the Chicken Murghgola, a more tomato oriented dish with slight spice that was really quite tasty with juicy moist chicken and a decent balance between flavour and spice. There were other dishes served but I was not able to try them all there were number of vegetarian dishes including a what looked like a tandoori paneer kebab served in a glass with dip!! All through the evening I was impressed by the staff and the presentation of the dishes supplied, there was such a great hub of conversation and it was nice to meet up with some old and new faces all enjoying the one thing we share in common…GREAT FOOD!! I had a chance to talk brief with our host and discovered that MemSaab primarily draws its influence for the dishes from the north of India with some dishes originating from southern India and Goa, But where ever the influence does from Memsaab serves great quality food and will have to be visited again to get a full flavour of the menu.